This was the statement issued today by Akbayan Senator Risa Hontiveros as she opposed the plan by the government to bury the remains of Marcos at the Libingan ng mga Bayani (LNMB). 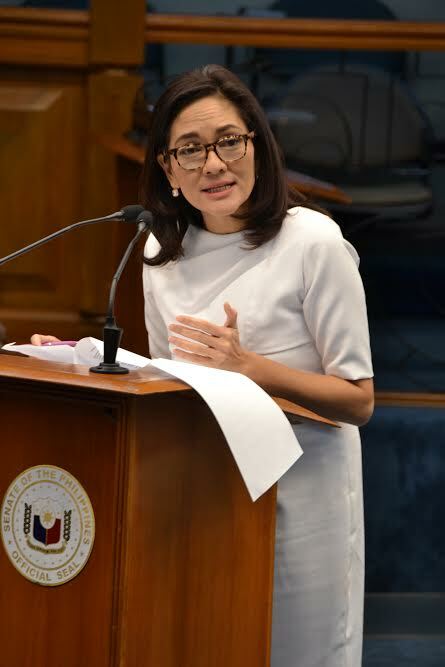 In a resolution she filed on Monday, Hontiveros said that allowing the former President to be buried at the cemetery will only cause further divisiveness and reopen old wounds, especially as the country is in the process of providing reparations to Martial Law victims. “President Duterte cannot end the rule of oligarchs in the country by honoring the very man who created a crony oligarchy during Martial Law,” Hontiveros said. Hontiveros argued that Marcos does not qualify to be buried at the heroes' cemetery. She said that while the Armed Forces of the Philippines (AFP) regulation regarding the allocation of cemetery plots at the LNMB allows for the burial of former presidents, an exception was provided for those who were convicted of offenses involving moral turpitude. “In the case of Hilao v. Estate of Marcos, the jury found the estate of defendant Ferdinand Marco liable to 10,059 plaintiffs for the acts of torture, summary execution and disappearance. This conviction should suffice to disqualify Marcos from being buried at the heroes’ cemetery,” Hontiveros explained. “This is the more appropriate resolution that the government can pursue on this matter rather than yield to the Marcoses’ attempt to paint a rosy picture of the dictatorship, rehabilitate their image and whitewash their crimes against the people,” Hontiveros ended.